The Gallows Knowe – a site of hangings and burnings. Today, the Gallows Knowe in Irvine is a pleasant green space to the south of the Robert Burns memorial – but it wasn’t always. 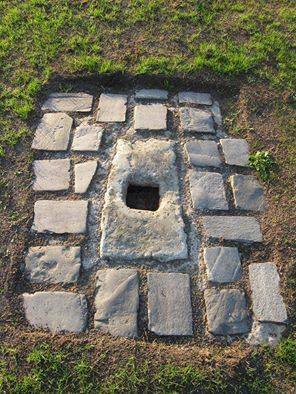 The Gallows Knowe was once the site of a small hill (or knowe) where public executions were carried out. Most of these would have been by hanging from gallows, but this may have been the site where a a total of 17 women accused of being witches of the Irvine Coven were burned at the stake on 12th March and 5th June 1650. The knowe remained here until 1813, when the area was levelled prior to the construction of the old Irvine Academy (now on the opposite side of the busy Marress Road). During these works an old wooden stump and other remains were found at or about the spot indicated by the coordinates. This stump is believed to have been part of the gallows themselves.